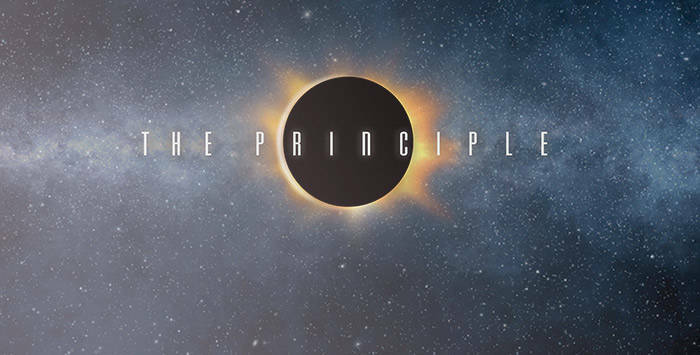 This week, Stellar Films released the educational, documentary style film The Principle. Like several popular science fiction films in recent years, The Principle addresses the biggest question our minds can wrap around: what does it mean to exist? Early on, the film quickly points out that Earth is the only place we are aware of with intelligent life which appreciates a baby's smile or a symphony orchestra. We are an advanced civilization, by our own standards, but are we actually alone in the universe? And how important are we in such a gigantic, seemingly endless space. "All of us are born with an innate need, in fact it's hardwired into us, to ask, 'Who are we? Where did we come from?'" says Michio Kaku, theoretical physics professor at the City College of New York. Could he be more on the ball with such a statement? Sure, it may not consume our days the way it does these scientists but we have certainly all asked ourselves, "Why are we here?" at some point in our lives. Diving right in, The Principle tackles the Theory of Everything in interesting fashion. Professors and theorists from around the world share their own beliefs as well as explaining, in easy to understand terms, the earliest theories of our existence from astronomers. In the best, most interesting lesson offered to me since high school, The Principle has me intrigued by our universe after watching. It tackles the Copernicus theories, Brahe and Keplar's disagreements, Galileo's outlook and more. One might even be surprised to hear the political or career-building reasons some of the earliest theorists addressed (or didn't address) their views. By the end of the film, The Principle asks, "Can you actually get to an absolute truth?" but with it's conclusion, there really is not one. It forces us to probe our own brains for the answers should we be looking to explore for them (and, naturally, we are). The Principle is made simple enough for us average Joes to comprehend but deep enough to provoke levels of curiosity we may not have personally reached before. Plus, it will might make you feel tinier than ever as it displays the enormity of the world we all inhabit. "If you understand nothing, you understand everything," says Kaku of the unlimited space in our universe. Shortly after the ironic statement, The Principle even addresses religion and questions of God which many filmmakers would have likely avoided. It doesn't force any ideologies upon you but instead keeps an open mind in explaining multiple points of view. Bonus for the comic book fans, one professor says in the film, "It's absolutely possible that there is a multiverse." For more on that bit, though, you'll have to check out the film for yourself. It's available for streaming online now or on DVD/blu-ray.